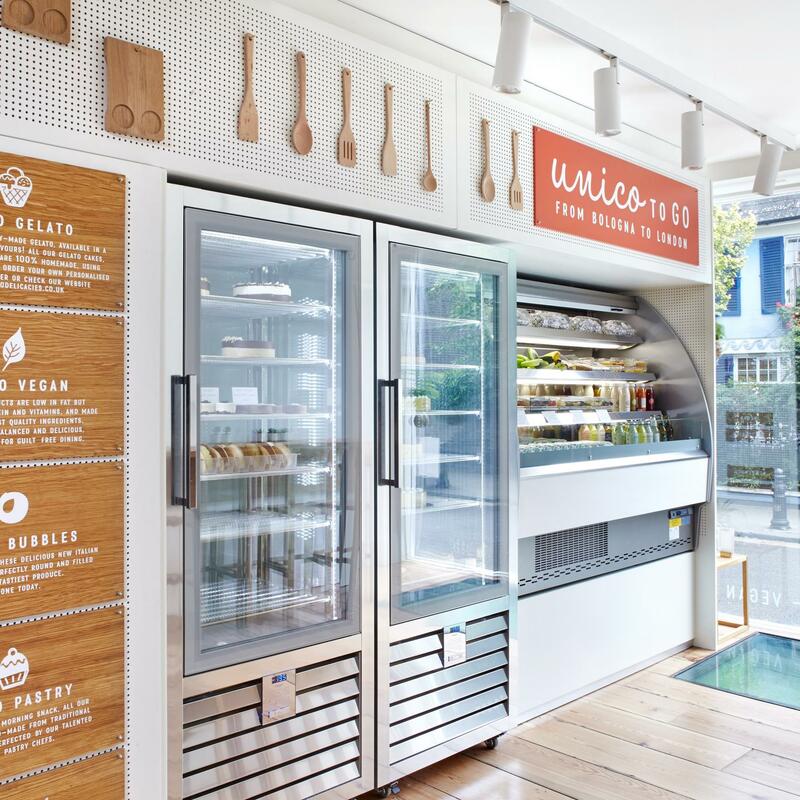 Unico - more than a Gelateria. We pride ourselves for being passionate about making artisanal, fresh and tasty gelato, authentic Italian coffee, delicious pastries, and more. With vegan and celiac options, we want to make you feel at home. Let your senses be drawn to a real culinary experience and find yourself coming back for more. Owned by Italian football legends (and now Chelsea’s assistant manager) Gianfranco Zola and Roberto Di Matteo, Unico currently has its flagship store in Notting Hill - next to the Notting Hill Gate tube station. Unico also offers rooms for meetings, private parties, including children’s birthday parties in store, workshops, involving local people in the artisans’ everyday life, and catering for private functions elsewhere. 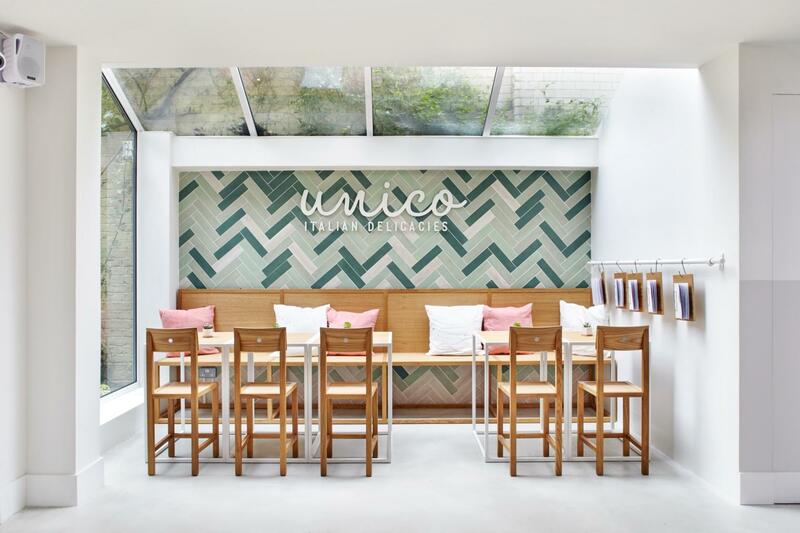 The excellent quality produces on offer, alongside the stylishly modern, brightly lit and pastel-hued interiors, make Unico an exciting addition to the Italian food scene in London. 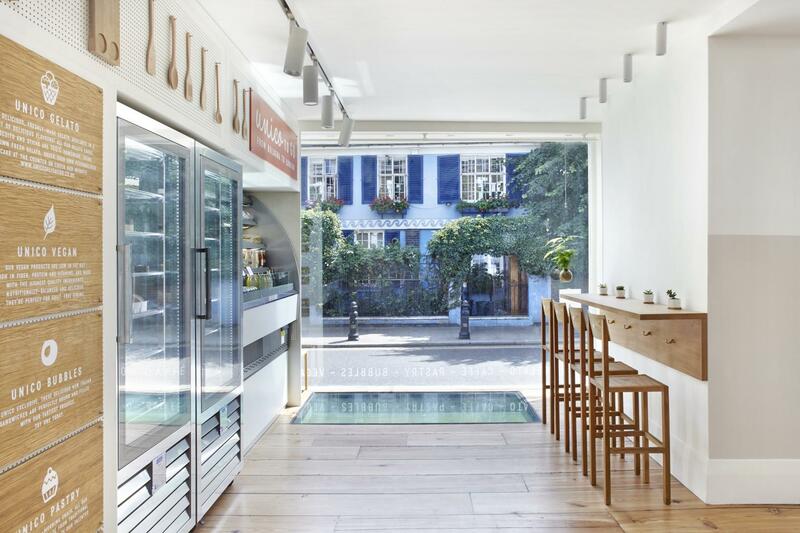 A modern and comfortable area in our Notting Hill flagship store. The room is down the stairs, and it can be closed for private meetings. The stylishly modern, brightly lit and pastel hued interiors, make this room our favourite one. The room is next to our on-site laboratory, so you can even see the gelato makers producing gelato live. 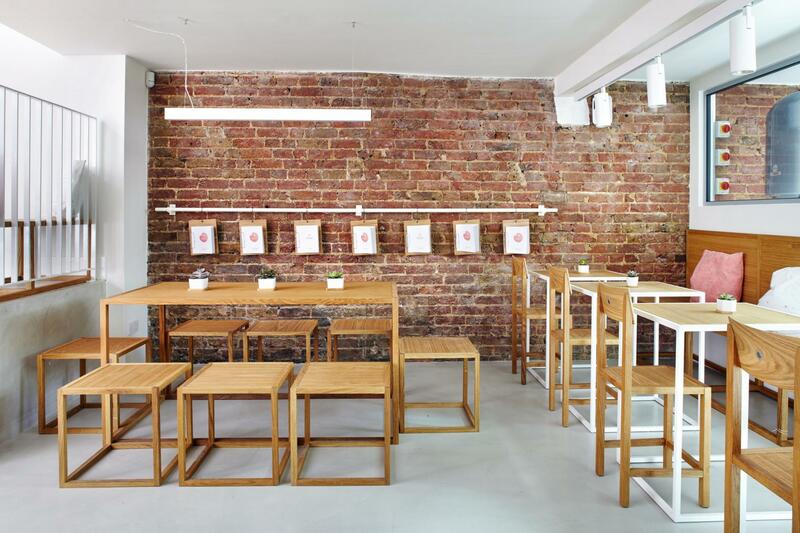 A modern, comfortable, private area in our Notting Hill flagship store. The rooms are both down the stairs, and they can be closed for private meetings, events, parties, conventions, presentations, etc.. The stylishly modern, brightly lit and pastel hued interiors, make these rooms our favourite ones. The rooms even include a bathroom and a garden. This was the best venue for my 5 yr old party. The kids made and decorated ice cream cakes and had an amazing time. The venue is gorgeous and the staff are kind and enthusiastic. Our daughter’s first birthday party was a huge success with the help of friendly and polite staff at Unico Gelato Cafe! The venue is so lovely and had a great atmosphere! The space has huge potential for internal decoration! The catering was beautifully presented and the food was so yummy! We had heaps of compliments from our guests on the food, and the venue! The staff were amazing and SUPER helpful. Very friendly and tried to make me and my guests as comfortable as possible.